In the Real Estate profession, one oversees and secures someone else's asset while they are trying to sell it. It is hard enough finding a buyer with financial stability and the appropriate credit qualifications, but now throw a broken water pipe on the third floor or graffiti on the garage door. What do you do if you walk into a home for scheduled showing with a potential buyer and find puddles of water on the floor, growths on the walls or worse? If dark, small spaces are not for you, then call SERVPRO of Wilson/Nashville. Our trained Production Technicians are experienced in navigating through Crawlspaces and Attics to perform a variety of different services. Water and Fire Mitigation/Repairs, Mold & Fungi Remediation, Sewage Back-up and Bio-hazard Clean-ups are a few commonly inquired services. 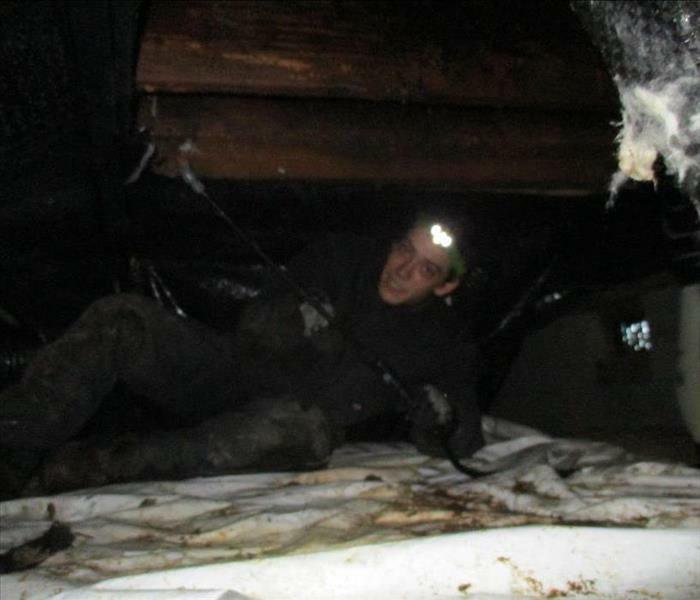 As depicted above, our Production Technician, Christian, is spraying an anti-microbial agent on the floor joists and sub-floor of a crawlspace. There a few reasons why we apply an anti-microbial agent, in this instance, there was a water damage that had saturated the materials in the Crawlspace underneath the home. The anti-microbial agent is used to prevent any growths from forming before and after the mitigation and drying process is complete. Brian Reneau, Production Manager of SERVPRO of Wilson/Nashville, has a variety of different responsibilities. As depicted, he is performing an Equipment & Job Site Inspection at a Commercial Water Loss in Wilson, NC. At this particular Water Damage, a Hot Water Heater pipe has burst spraying the inside of a closet and migrating through the floor of half a dozen rooms. Once his Inspections are complete, he must communicate with the Franchise Owner, Customer, Client, Crew and Sub-Contractors about what should be done to proceed. Not every job is a simple, "cut and dry" operation. Brian, especially with his many years of experience, has faced many adversities in the field. Thanks to his incredible knowledge and patience, he can handle any situation with ease. With every water damage, our technicians first priority is to find and extract as much extraneous water from the affected areas as possible. 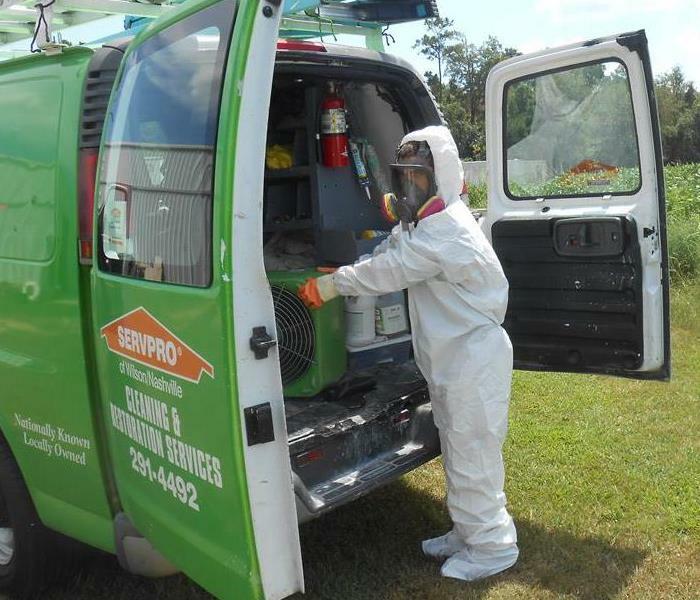 The second step requires non-salvageable materials to be discarded and documented per Insurance and SERVPRO's standard requirements. Our last step incorporates the use of our air movers and dehumidifiers in conjunction with Electronic Documentation. Once in place, these pieces of equipment are used to dry the remaining salvageable materials by evaporating the water out of the materials and into the air; The dehumidifiers then pull the moisture from the air to condense and expel through the drain tube. We have over 100 pieces of equipment currently in stock and continue to acquire more! 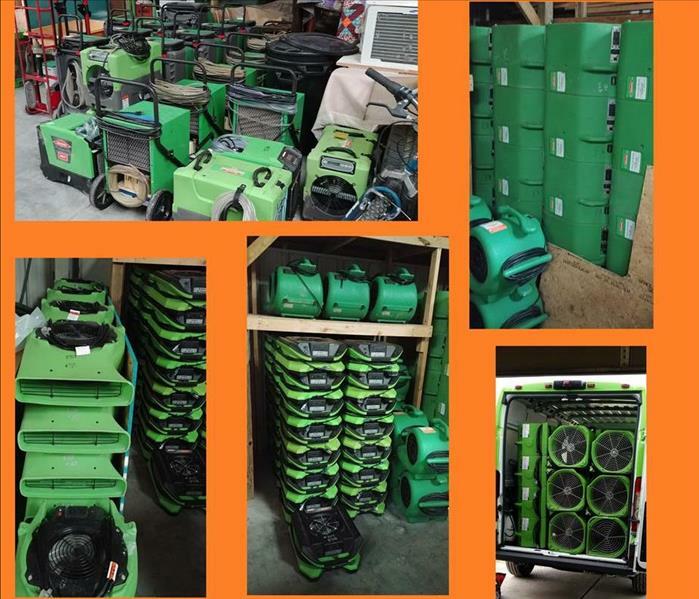 The drying process is the most important step for SERVPRO of Wilson/Nashville to make your disaster "Like it never even happened.®"
Our Technicians face a number of different hazards on job-sites everyday. 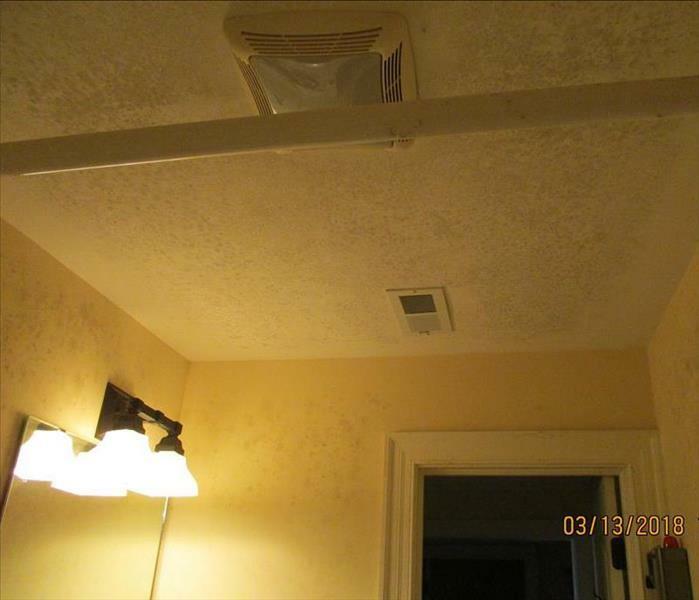 Water Damage, Fire Damage, Bio-hazard, Mold, and Sewage all present their own unique problems. 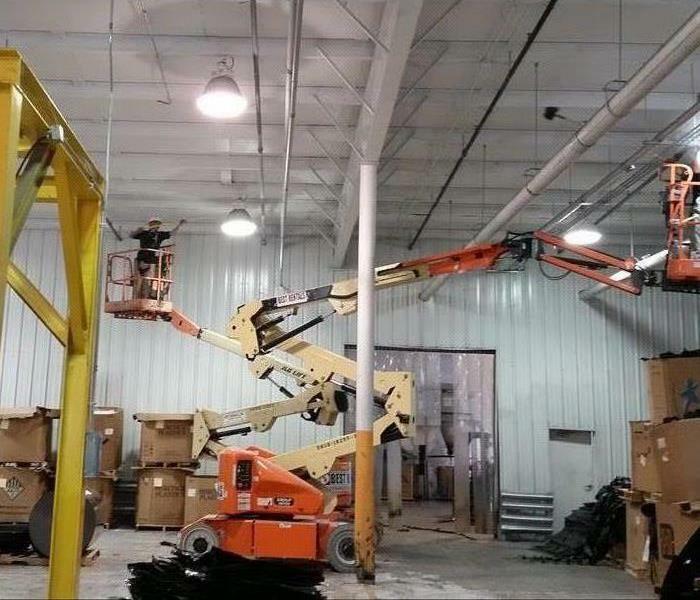 This is why we take safety very seriously. All of our Technicians are assigned their own Personal Protective Equipment, are well rehearsed with our Hazard Communication Protocol and store Material Safety Data Sheets on their vans. All hands were on deck for this Commercial Cleaning job. Here you will find a couple of our Certified Technicians performing a thorough cleaning in the Warehouse for Absolute Plastics. 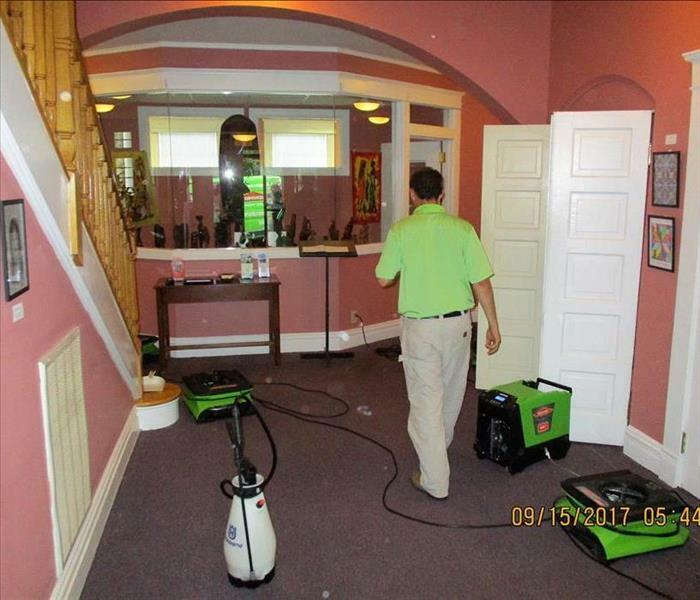 SERVPRO of Wilson/Nashville has a wide variety of services, no job is too big or too small. We take great pride in our Technicians being the best that they can be, that is why we take the extra step to get our Employees IICRC certified for Water Damage Restoration IN ADDITION TO SERVPRO's Standard Employee Certification Training Program. 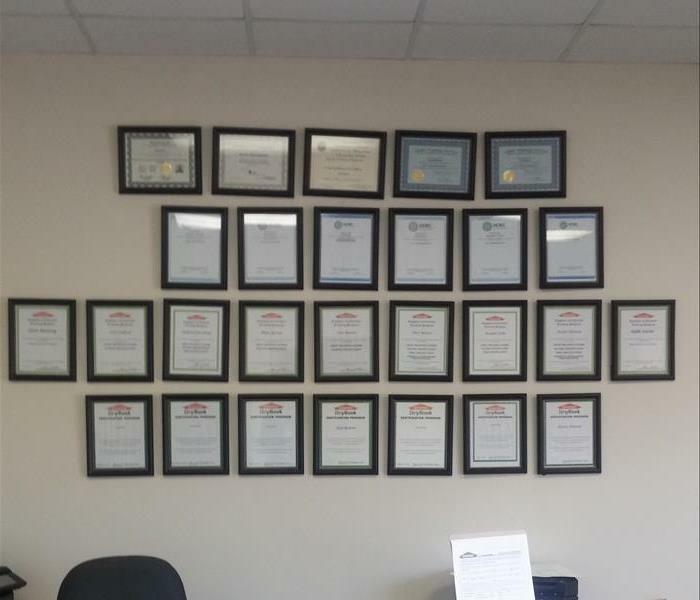 We display all of our Employees and Owners achievements on the wall in our Main Office.